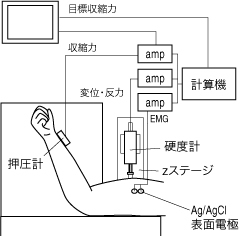 T. Uchiyama, R. Kimura and M. Murayama: ‘Elastic- and Viscous-like Property of the Upper Arm Estimated by the Pushing Method’, Proc. 22nd Ann. Conf. of IEEE Engineering in Medicine and Biology Society (2000).